Episode 137 debuts on July 18, at 8:00 PM Eastern. Rebroadcasts will take place according to the Crusade Channel programming schedule (note: all times listed are Central time). My topic is Seeking the Truth about Abraham. My guest is Mr. Scott Smith. 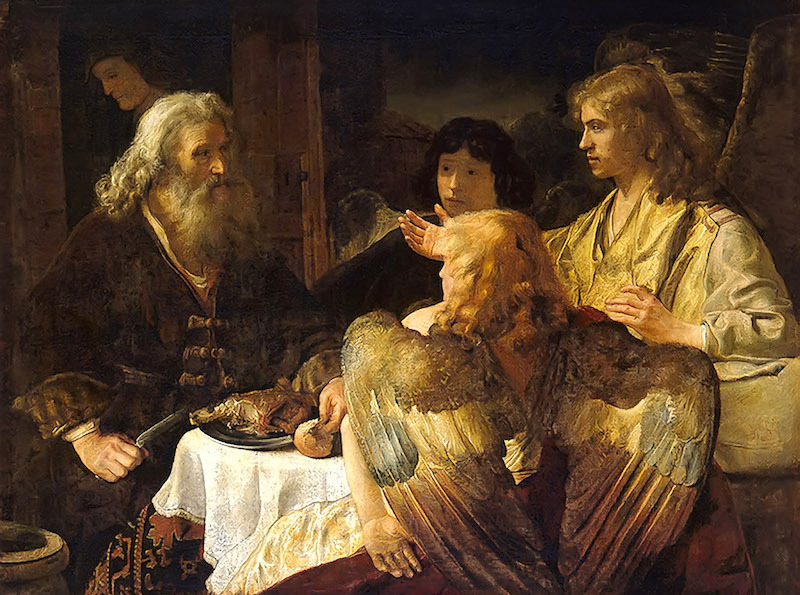 Abraham and the Angels, Rembrandt, 1630. Image, top: The Sacrifice of Isaac by Caravaggio, in the Baroque tenebrist manner.